Downloaded, and installed! Thank you, thank you Roon and Devialet! Showing “Uncertified”, and the device icon is generic, but I presume this will go away soon. Maybe if the certification has been just given, the “uncertified” flag will only go away with the next Roon update. 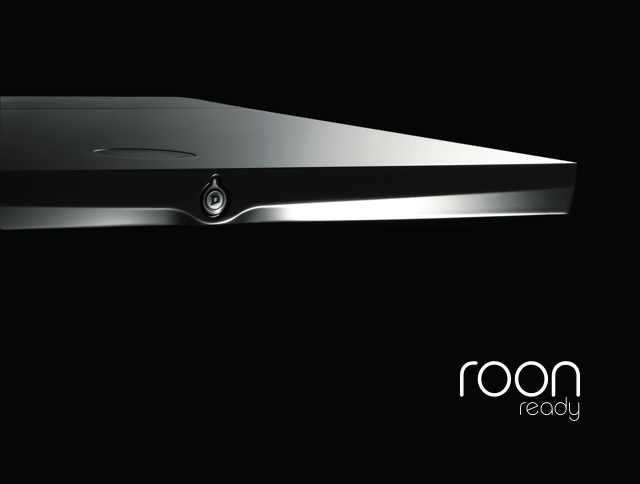 The Devialet Expert series has been Roon Ready certified. The certification status should update itself in the next 24-48 hours in the background on your Roon Core. I just love the “improved” signal path icon, as well as the SAM support. The quality is so good !!! Fabulous update, thank you Roonlabs and Devialet! I also think that the SQ has improved. 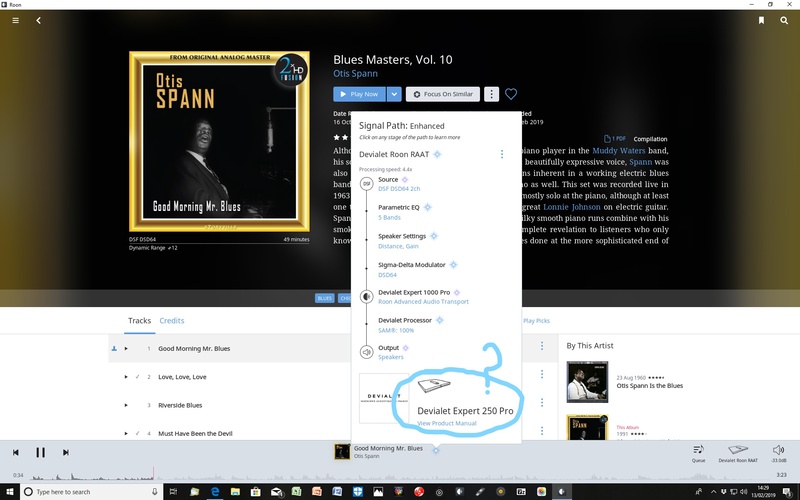 I agree…there is, to our ears, a significant (or, say, slightly noticeable, for the grumpy ones) improvement in air and separation, detail and soundstage…my thanks and congrats to ROON and Devialet for putting this together. The rewards of ROON membership just keep coming. @patrick_camarasa Try a reboot of Roon Core and see whether that helps. 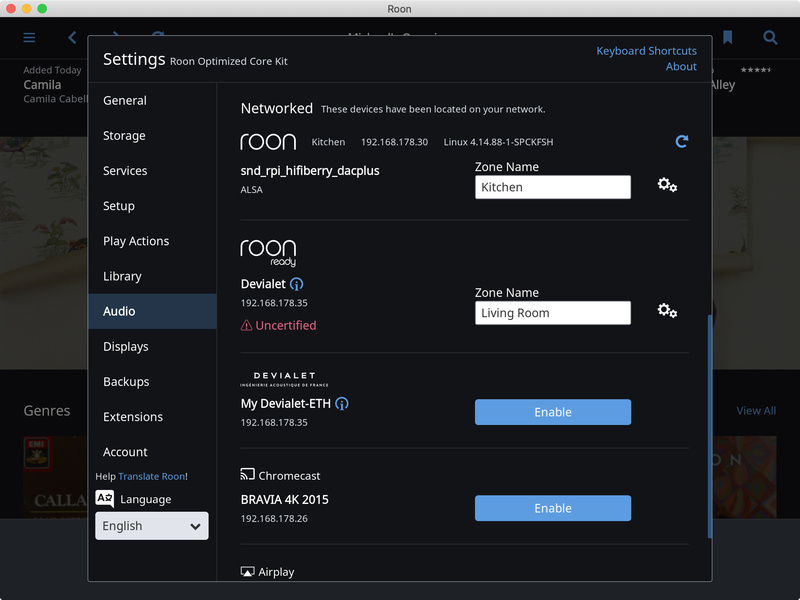 I have already turn off and on Roon Core without succes. Is it different wrt a reboot ? You could also try to totally shut down the Devialet that is not showing up. Just turn off the power and remove the power chord for some 10-15 seconds before reattaching it again. 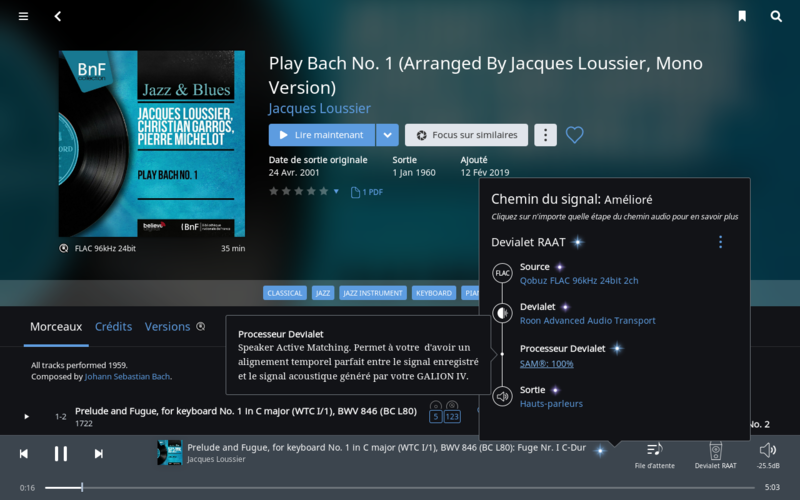 Have now downloaded the latest Devialet firmware for Devialet RAAT, and must say that I am very impressed. All works fine and SQ remains fantastic. Just one thing I have noticed, and that is an anomaly in the Signal Path. Whilst the Path recognises that my 1000 pro is the RAAT device, the graphics at the bottom shows my device as a Devialet Expert Pro 250! Not too sure what the issue is here - is it me or is there a minor bug? Adding in @support for their views.